A dire economy and grinding poverty in Karen State have left its education system in shambles and a generation of young people cut off from educational opportunities they are desperate to receive. Nan Moo Mu*, 16, from Mi Tan village in Kyain Seikgyi township, is one such student. She was supposed to begin Grade 9 this year but has considered dropping out to get a job as a migrant worker in Bangkok because her family cannot afford the school fees. Daw Nan Say*, Nan Moo Mu’s mother, said the economy in Burma has put more pressure on families as the cost of consumer goods and educational fees continues to rise. Three out of 10 children never start school, and 60 percent of children who do never finish Grade 6. A Karen social worker with an educational non-governmental organization in Burma said that many parents in rural areas such as Pa-An, Kyain Seikgyi, Kawkreik and Hlaingbwe townships in Karen State rely on their children to help out on family farms. “Especially in areas at a distance from larger towns or cities, children can’t afford schooling. Those who do attend classes rarely continue to middle or high school,” said the social worker, who asked not to be named. Economic hardships, ongoing armed conflict between opposition forces and the Burmese military and government incompetence in managing a national educational system have all contributed to the dire state of educational infrastructure in Karen State and the lack of qualified teachers, the social worker added. “The main responsibility for all of this falls on the government. Standards are poor because curriculums are not up to date. Learning is based on rote memorization rather than the cultivation of critical thinking skills. 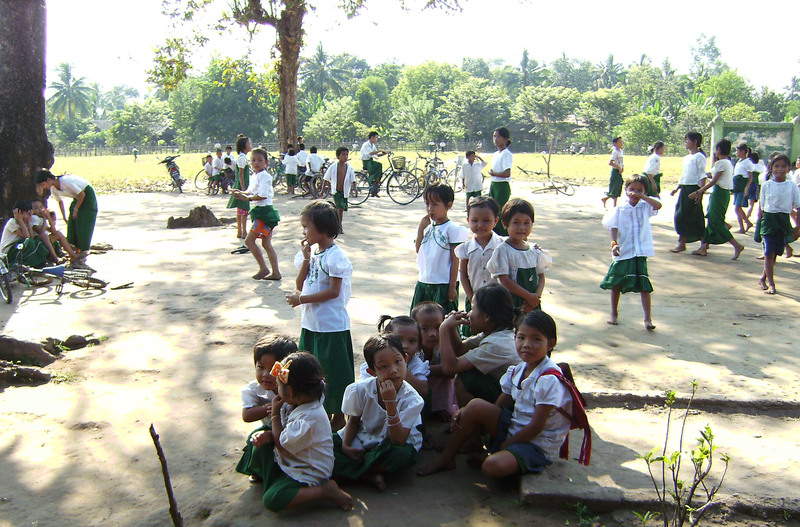 While primary education is supposed to be free in Burma, many families say it is anything but. A 60-year-old grandmother in Pa-an town said she has been required to pay for each year of schooling for her 4-year-old grandchild. The grandmother, who asked not to be named, added that students also require special tuition-based classes to learn what is required for graduation, at a cost of as much as 10,000 kyats each month. Meanwhile, Burma’s new President Thein Sein announced during a speech in March that the government would bring education in the country to an international standard. However, Burma’s national budget for 2011 released on May 1 showed that the government would spend a paltry 4.13 percent on education nationally, while nearly a quarter of the budget (23.6 percent) would be devoted to the military. Such a small percentage, from which Karen State would have to share with the rest of the country, would not make any difference in the current situation facing young students. As one educational worker put it, such an approach is like “feeding an elephant with a sesame seed” and would do nothing to improve educational infrastructure beyond what it had always been under the former military regime.